April 2010: Let's stand tall. Let's fight for freedom for all! Let's stand tall. Let's fight for freedom for all! 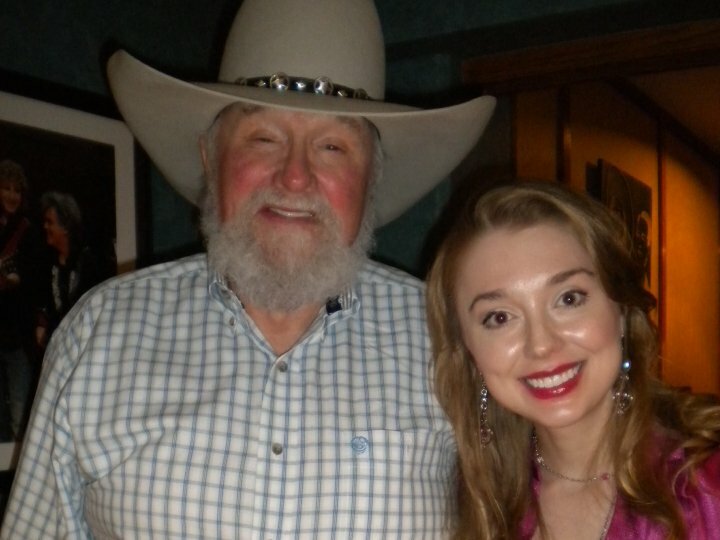 Backstage at the Grand Ole Opry, we recently enjoyed meeting the very well-known Charlie Daniels, a man who believes in our country's freedom. Standing tall, donning his familiar cowboy hat, and smiling thru his pristine white beard, he represents the independent spirit of a nation alive and well. He believes in prayer and action. We snapped pictures with him, expressed mutual belief about prayer, and left feeling quite encouraged. Why? He's a man who, although being an imperfect human, knows how to obey God about something: standing tall for what is right. He frowns at the wordy, worldly stage of political jargon. Instead, he hits straight to the point: We must stand tall for our freedoms -even in the face of fiery resistance. Today, we must do likewise -even when it feels uncomfortable. Have you noticed how people use demeaning speech about Christians and their positive influences on our nation's history? Negativity is embraced while positivity is defaced before we have a chance to say "wait a second" and defend our many positive roles in history. No one can demote the truth: America is a Christian nation! Americans, now is the time to invigorate our faith and fight for freedom! Let's take a moment and look at our history. This month, Unite the USA is honored to feature a stirring article by Pat Boone. You will learn about America's heritage and her Founding Fathers and in addition to gaining a stronger sense of patriotism. Thanks for your support and patriotism. Will you unite to fight for freedom, faith, and family? 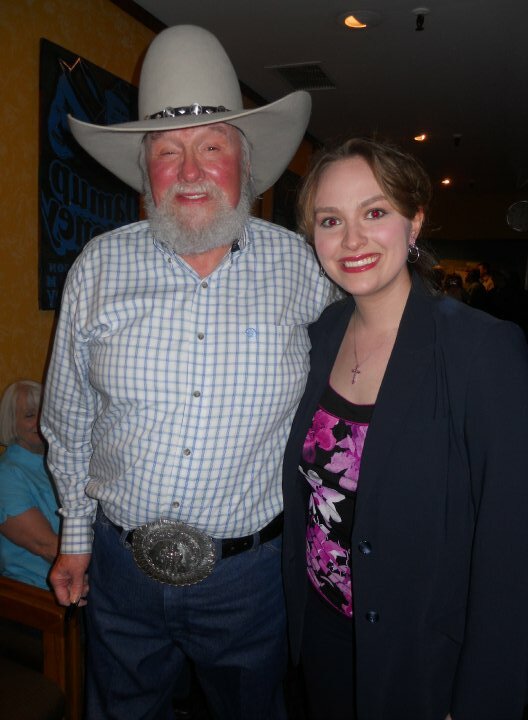 Fellow Americans, let's join Charlie Daniels: Let's stand tall. Let's fight for freedom for all!With God as our help, we can unite the USA! How many of us have memorized Abraham Lincoln's immortal words from his Gettysburg address? "... that government of the people, by the people, for the people, shall not perish from the earth." I suspect that, apart from Thomas Jefferson's equally immortal "certain unalienable rights," among these life, liberty, and the pursuit of happiness, there are no words better known or more precious to patriotic Americans. Democracy. Independence. Liberty. Freedom itself. All of these more abstract concepts are actualized and made understandable in the words "government of the people." Government by the people themselves. Government fashioned completely for the benefit not of the governors, but for the people who select their own governors - to do the will of the people. This was a truly revolutionary concept. And it brought about the revolution that changed the world. The colonies that constituted America then were peopled with folks who were subject to a king; they were under his authority and pretty much had to live as he ordered, at his pleasure. But, the king wasn't there, and the people had gotten a very good taste of what it was like to make most of their own decisions and live as they chose. And they liked it. When the commands of the king became odious, and when he forced them to take things they didn't want - and then taxed them heavily on those very things - the people rebelled. In a bloody, impossible war, which against all odds they won, the people formed a whole new kind of government. It was their wish to govern themselves, voluntarily, through elected representatives who would implement the wishes of the majority. It would be a spare, lean government, guaranteeing equality for all citizens and favoritism to none. The framers of the Constitution foresaw, even foreordained, a competitive tension between the executive and legislative branches of this government, so they made the judicial branch the referee, determining which branch was adhering to the Constitution and which was usurping powers not granted it. And to make sure the elected representatives obeyed the Constitution and the expressed wishes of the people, they knew they could be kicked out of office after serving a short term. The people were in charge. The people ruled. And it worked! For over 200 years, this unprecedented, wild dream worked! The United States of America became the best, the most prosperous, powerful and envied country in the history of the world. The people proved they could govern themselves, in a system they called a republic, a democracy. But early on, Ben Franklin warned, "Beware; if the congressmen discover they can appropriate funds by taxation for their own purposes, the republic will be lost." And on Oct. 11, 1798, President John Adams stated in his address to the military: "We have no government armed with power capable of contending with human passions unbridled by morality and religion. Avarice, ambition, or revenge, would break the strongest cords of our Constitution as a whale goes through a net. Our Constitution was made only for a moral and religious people. It is wholly inadequate to the government of any other." And he was right. Over many decades, men elected to the legislature did discover how they could spend exorbitant sums on personal projects and sign the taxpayers' names to the bill. Unconscionably and fraudulently, they created "earmarks" and "pork" and hid their self-serving political projects in huge appropriations bills, which the congressional "old boys club" charged to the uninformed citizenry. The corruption and profligate spending grew and grew, through many administrations and involving both political parties. And more and more, political aspirants spoke passionately of the people's "rights," which they would obtain for them. "Every citizen has a right to a good education. Every citizen has a right to good health care. A right to an abortion. A right to a good job, a home, a cushy retirement." And gradually, a lot of the people came to believe them. And who would provide all these "rights"? Why, Big Brother government, of course. The people would pay for programs and entitlements and provisions the politicians promised - and the benevolent government would provide. And naturally, the provider would make the rules, would govern. Not the people themselves. None of these "rights" were mentioned in the Constitution. The Declaration of Independence only referred to three "unalienable rights" - life, liberty and the pursuit of happiness. Originally, all citizens had equal rights to pursue the things that would make them happy, though not all would obtain them. An education, like a great job, had to be earned. Though a Utopian idea of everybody having everything seemed desirable, our Constitution simply didn't guarantee it. In fact, when Congress in 1792 appropriated $15,000 to assist some French refugees, James Madison wrote disapprovingly, "I cannot undertake to lay my finger on that article of the Constitution which granted a right to Congress of expending, on objects of benevolence, the money of our constituents." Sound heartless? No, it was respect for the intentions of the Constitution, and the realization that when citizens came to depend on the government for benevolence, they would eventually surrender their will to the government. It was assumed that a benevolent people would undertake voluntary and cooperative methods to meet the needs of their fellow citizens. There were rights, few, but broad, and equal. And there were responsibilities, varied and voluntary, and largely local. And for 200 years, the American people have responded, accepting their responsibilities in countless ways, creating charities and support organizations that did not depend on taxes or bloated government bureaucracies. But now, in 2009, in a society our Founding Fathers wouldn't recognize, Big Government has become our new King George. This administration has determined to cram a trillion-dollar health-care program on the people the majority doesn't want; it is committed to programs that will lay trillions of dollars of unpayable debt on an already heavily burdened citizenry; it is appointing "czars" to implement a leftist, socialist agenda. The politicians who were elected to represent the people and their wishes are instead forcing their wishes on the people. It is the reverse, a perversion of what our founders created. Is a new revolution inevitable? 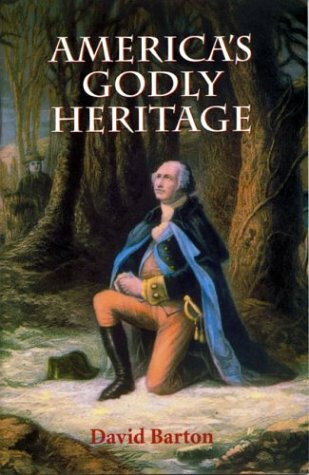 America's Godly Heritage (by David Barton) clearly sets forth the beliefs of many famous Founding Fathers concerning the proper role of Christian principles in education, government, and the public affairs of the nation. The beliefs of Founders such as Patrick Henry, John Quincy Adams, John Jay, George Washington, Thomas Jefferson, John Adams, George Mason, and many others are clearly presented. America's Godly Heritage also provides excerpts from court cases showing that for 160 years under the Constitution, Christian principles were officially and legally inseparable from American public life. This book is an excellent primer for those who want to know more about what was intended for America by the Founders and what can be done to return America to its original guiding philosophy. It's ideal to share with home gatherings, church groups, and Sunday school classes, or to use as a history supplement for children or schools.